Imagine you’re working on a really big project when all of a sudden your computer crashes. All of your hard work is lost. This is a major problem, especially when there are deadlines to meet. Unfortunately, many businesses don’t take this seriously. 96% of all business workstations aren’t being backed. That’s a large amount of potential work being lost forever. 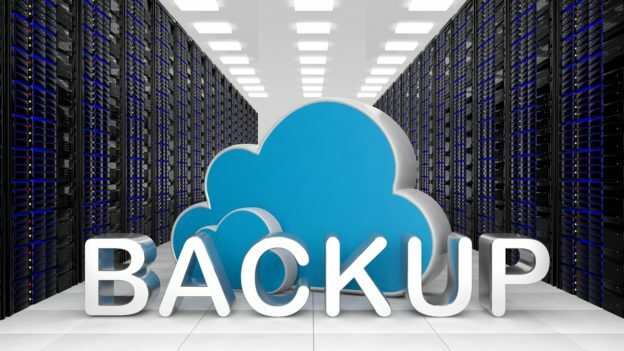 Businesses are slowly starting to see the importance of having backup systems. This includes using cloud storage services. More than 50% of surveyed IT professionals have ranked backup and disaster recovery solutions as a top priority. Having a disaster recovery plan is essential for many reasons. For one, it keeps your business data secure. And two, it ensures continuity of your company. Traditionally, businesses only looked at on-site issues, like server failures, power outages and data loss in their plans. This is extremely outdated for disaster recovery planning. It’s very important to have a strategy that includes situations where you’re unable to connect to the web. Then on top of that, no one really tests the backup plans they’ve created. That’s a disaster waiting to happen! In order to have a fail-proof plan, you have to first assess all of your weak points. Where can mishaps occur? Only then can you determine the best way to handle the issue when it arises. Always plan ahead – businesses that fail to do this will only struggle to handle problems as they happen. If you don’t have a way to continue your business when your business is without internet for hours or even days, then you’re skating on thin ice. Cloud-based computing is nothing new, but some businesses still haven’t jumped on the bandwagon. What’s great about the cloud is that you don’t need to reinvent the wheel. You can still use your disaster recovery procedures once you’ve implemented cloud computing. The cloud offers businesses a virtual way to store their important data. All of your files and documents are stored on offsite data centers. So when there’s an outage in your area, your data is still accessible in the cloud. There are several servers used for cloud storage, ensuring there are no burdens that can crash the system. It’s also worthy of noting that recovery time is cut short since there’s no need to load the server with the OS and application software in order to patch to the previous configuration used for production. This was required before the restoration could take place. The process is too slow and expensive. Cloud helps you to save time and money – what business couldn’t use that? Small and medium businesses are coming around to see how cloud services can be leveraged for disaster recovery. What makes it attractive is its low cost. If you don’t have the resources to maintain your own IT task force or data center, then this is a great alternative. How is data transferred and stored? Is it secure? Are the users authenticated? How? Is there a two-factor authentication or just a password to access data? Are regulatory requirements met by the cloud provider? Also, make sure the bandwidth requirements are considered. Some have made the mistake of only planning bandwidth requirements for transferring data to the cloud. However, they forget to determine how to make the data accessible once disasters happen. For this purpose, you should ensure you have the network and bandwidth capacity to send users to the cloud. And if your plan is to restore data via the cloud, make sure you know how long it will take. Find out if the cloud provider you use will be able to offer access during times of a disaster. If they can’t deliver service on the agreed terms, then you need to find another quickly. It’s important to note that there’s no one-size-fits-all approach for backup and disaster recovery using cloud services. So you need to do what’s right for your business. The applications you use and the industry you’re in both play a role in the development of your recovery plan. The first step is to prioritize your applications, data, and services. Figure out how much downtime each one can have before it negatively affects your business. Only include the important applications and data (aka those that are relevant to your business operations). The more focused your strategy, the easier it will be to test and execute when the time comes. Recovery time objectives or RTOs need to be determined as well. This will help identify the best method for disaster recovery. There may be multiple techniques that must be used for different applications and services. There are various cloud-based methods you can use to backup and recover data after or during a disaster. For example, you can have your production and disaster recovery handled by a managed service provider. This eliminates the need for on-site infrastructure or having to do it on your own. Instead, the service provider is managing everything for you. Again, make sure the provider can offer uninterrupted service. Otherwise, their service is pointless. Another option is to backup and restore your data directly from the cloud. So once an outage occurs and data is lost, you can go to the cloud and recover it. Then before such disasters happen, you can backup files to the cloud, so you can recover them later. It’s even possible to replicate virtual machines in the cloud. This protects your on-premise and cloud production. At The Ame Group, we aim to simplify IT solutions. You can visit our blog to learn more about cloud storage security and data security. You can also contact us to find out more about the solutions we offer to small- and medium-sized businesses.